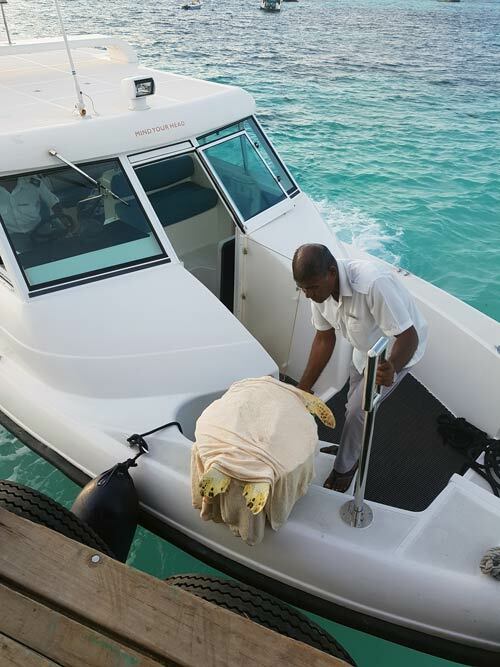 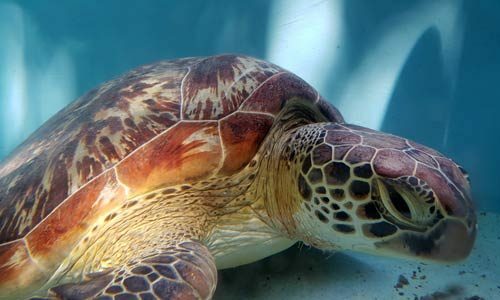 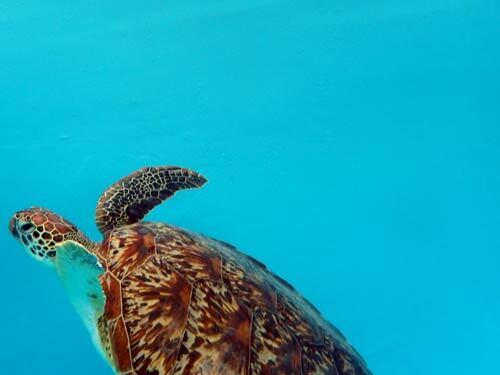 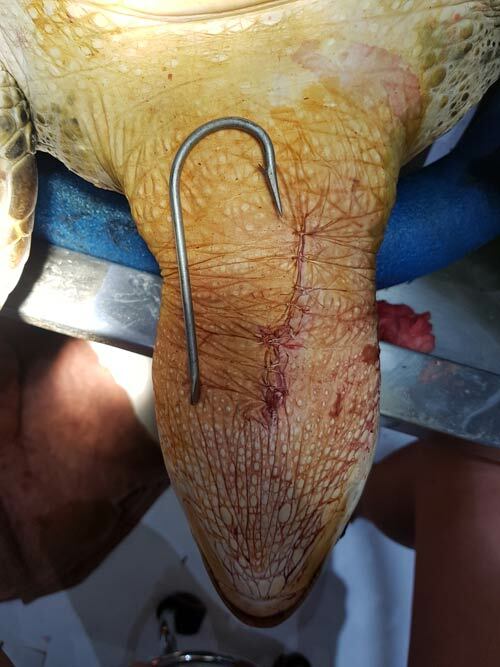 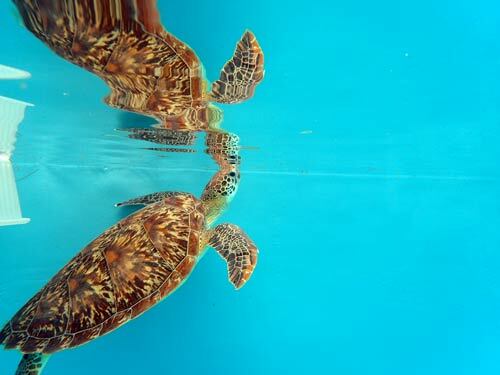 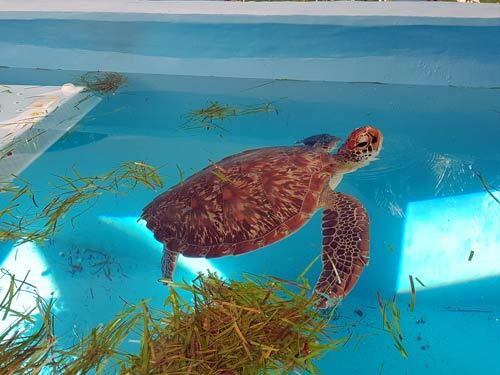 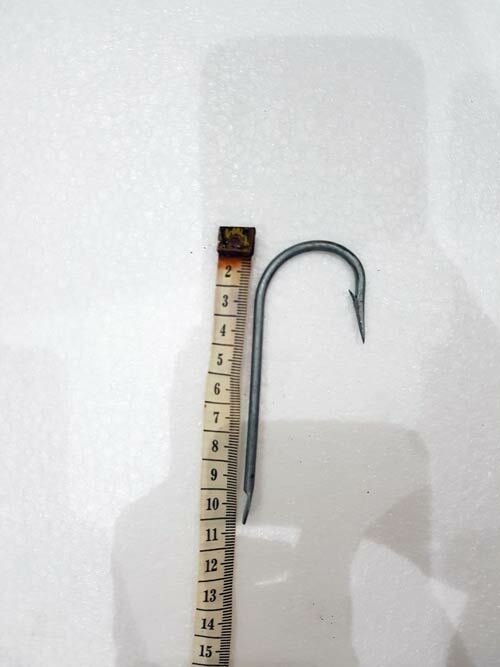 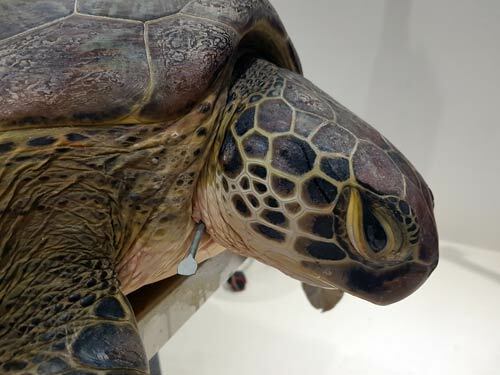 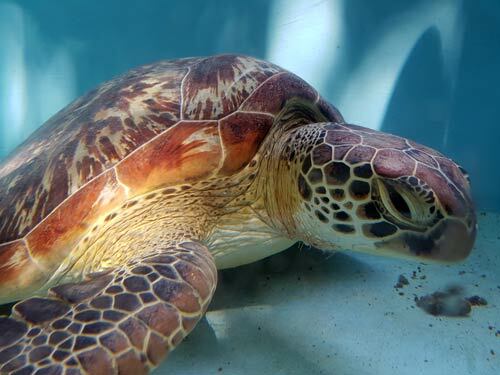 Kamana is a young female green turtle who was found with a fishing hook deep in her neck near Four Seasons Landaa Giravaaru Resort in Baa Atoll. 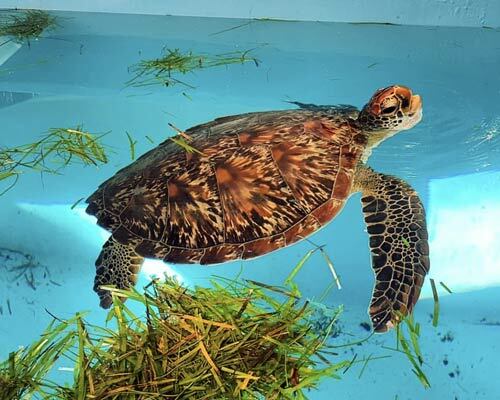 Kamana swimming with sea grass in her tank. 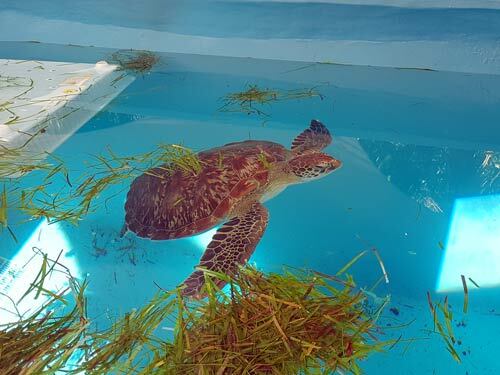 She recovered well in the Rescue Centre tanks, but she did not eaten anything at first. 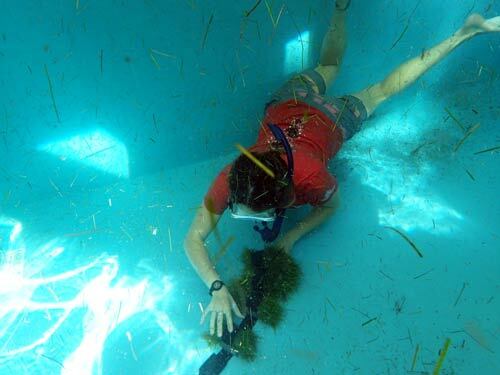 We collected sea grass for her, offered her salad items from the kitchen, and even looked out for a jellyfish to see if this would tempt her! 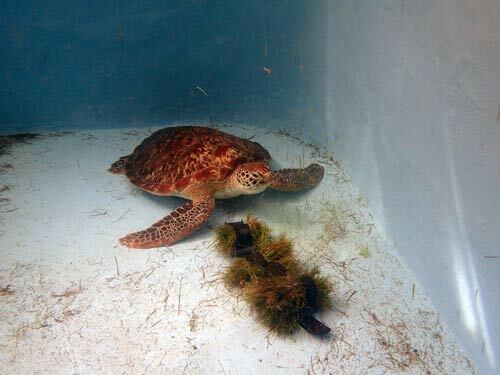 In addition, we covered over part of her tank to try and reduce stress levels in the hope she will would be tempted to eat. 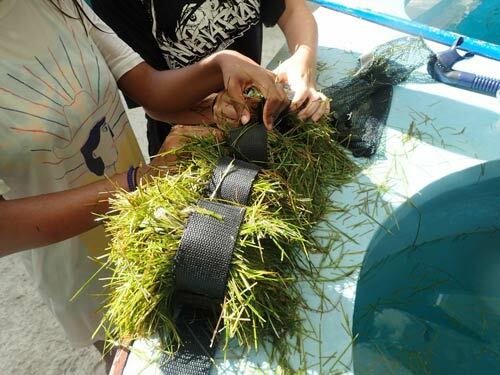 To mimic her natural grazing experience, we weighed the sea grass down with dive weights so that it would sink and she could eat from the bottom of the tank. 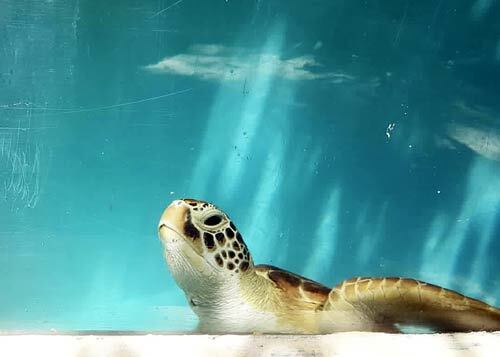 Finally we saw some progress! 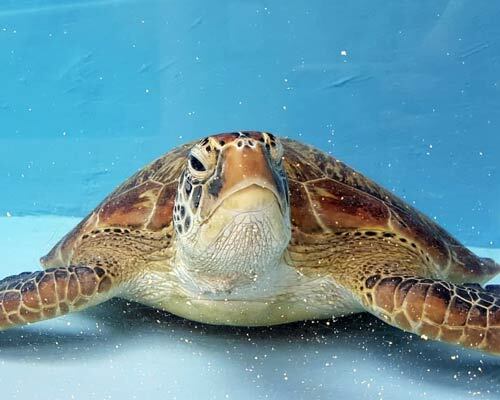 As Kamana was not settling well into our tanks, we were keen to release her as soon as possible . 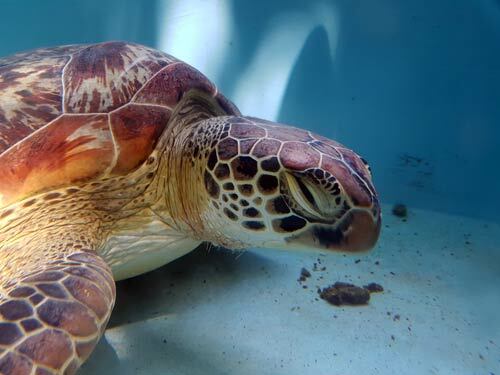 Once her wound had healed and her stitches had come out, we released her back into the big blue.